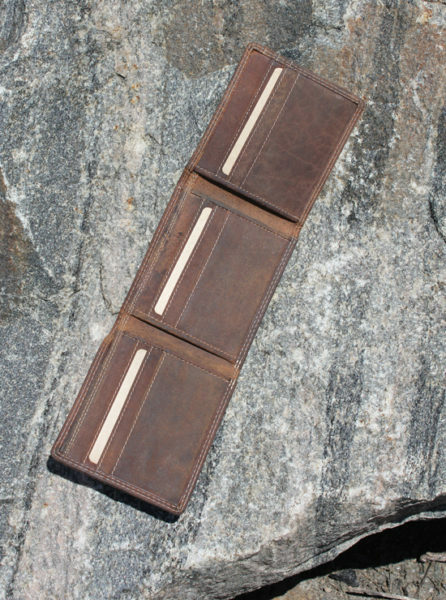 This classic trifold wallet was crafted by Albertan Adrian Klis. 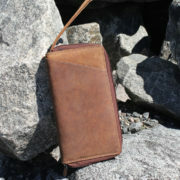 It features space for twelve credit cards, a slot for bills and three hidden compartments. 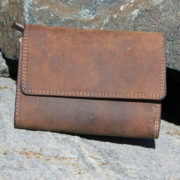 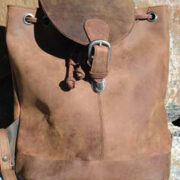 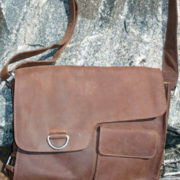 You’ll appreciate the durable buffalo hide – which ages beautifully. 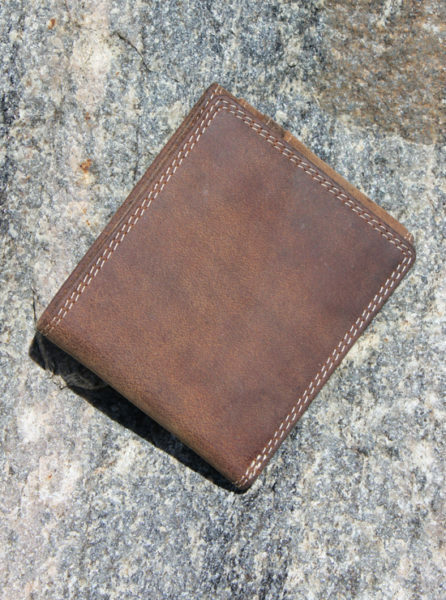 Measures 4.5″ x 4″ (11.5 x 10 cm).